I had a long day at work today and was looking forward to a slow ride downtown for a quick stop at the gym and then dinner with friends. I didn’t make it far, though, before the skies opened up and raindrops the size of salad plates came falling down. 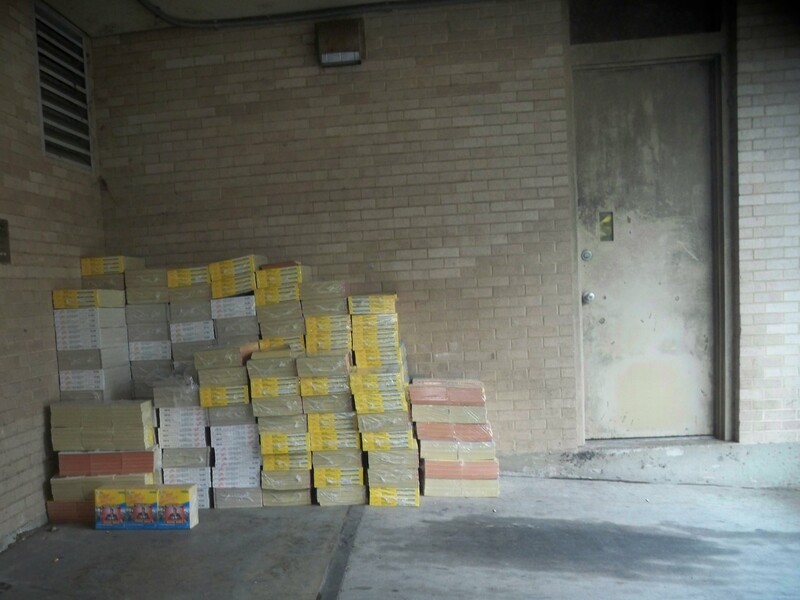 I ducked under a loading dock on Calhoun and Magnolia and waited it out with these stacks of phone books–a real blast from the past. There was a time, not all that long ago, even, when we used the phone book to find phone numbers, and then we used phones attached to walls to call those numbers and talk to actual people. We’ve still got phone books, obviously, but they are practically historical artifacts. Time moves quickly, and so does forgetting. I asked a group of my freshmen students today if the fact that New Orleans, and the part where Katrina hit and the levees failed, played any role in deciding why they came here for college, if they’d even thought about how that happened here when they decided to come here. Most said nope, they’d only started thinking about it when the college told them to. This absolutely blew my mind. Blew. My. Mind. It was only five years ago. But they were only in the 8th grade. Forgetting moves fast. This entry was posted in history, weather and tagged history, Katrina, levees, New Orleans, phone books, Uptown. Bookmark the permalink. It was THE oddest thing when K.D. (Echols) and I moved to Florida last month and there, in the drawers of our new kitchen, were a handy dandy stack of Floridian phone books… our new landlord felt the need to point out that he brought them over for us. It was one of those nod-and-thank-you moments… but really? Phone books?